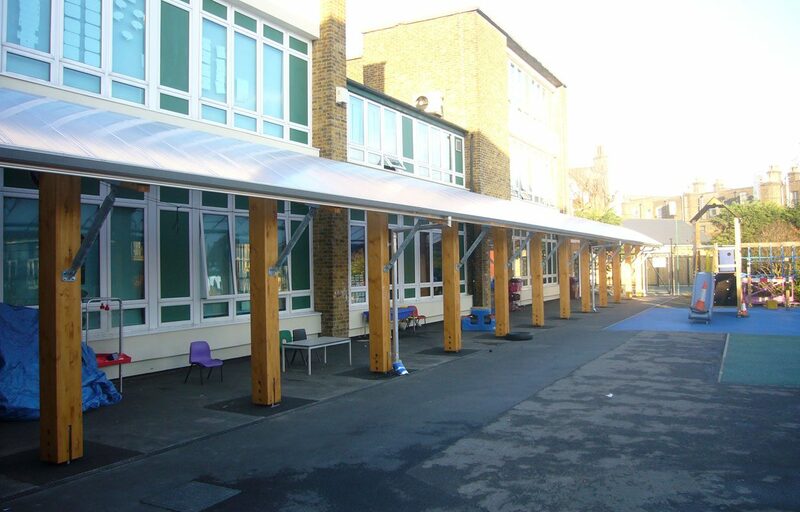 Timber canopy constructed for George Tomlinson School. 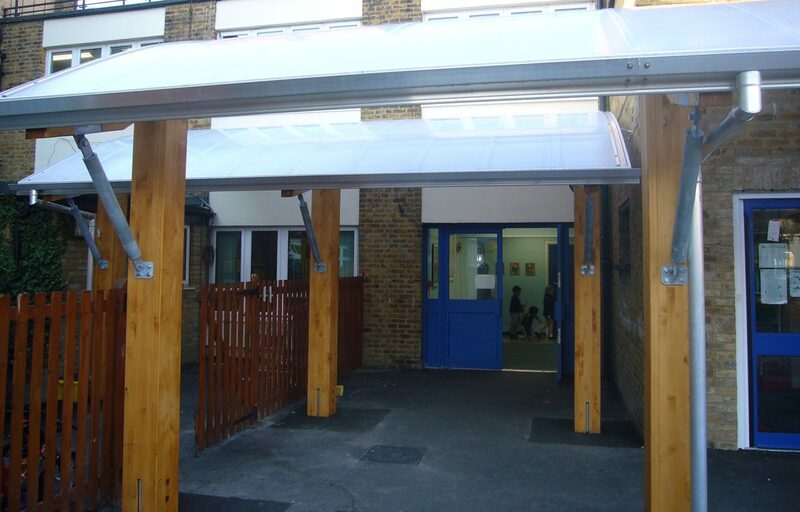 This robust timber cantilever canopy creates a sheltered walkway and protected play space alongside the existing school. The structural glulaminated timber canopy is in our very own Marlborough design. 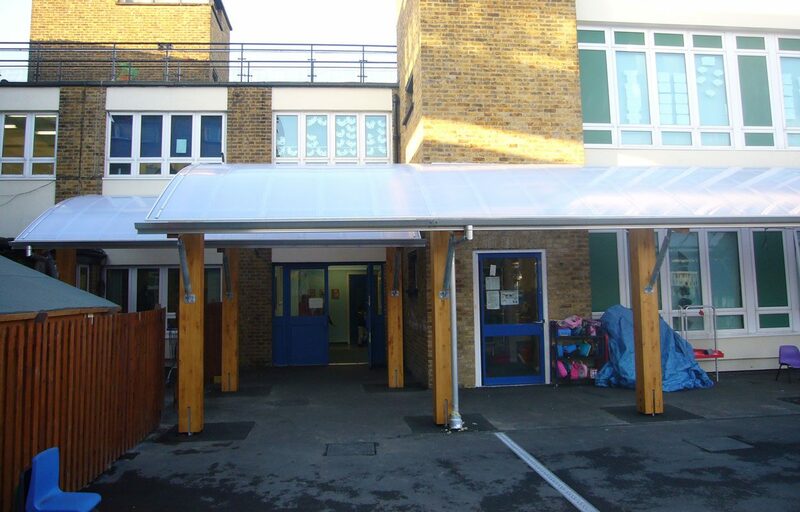 The mono pitch curved L-shaped roof is completed by a hardwearing polycarbonate roof and offers staff protection from the rain and UV rays while transferring between classrooms.